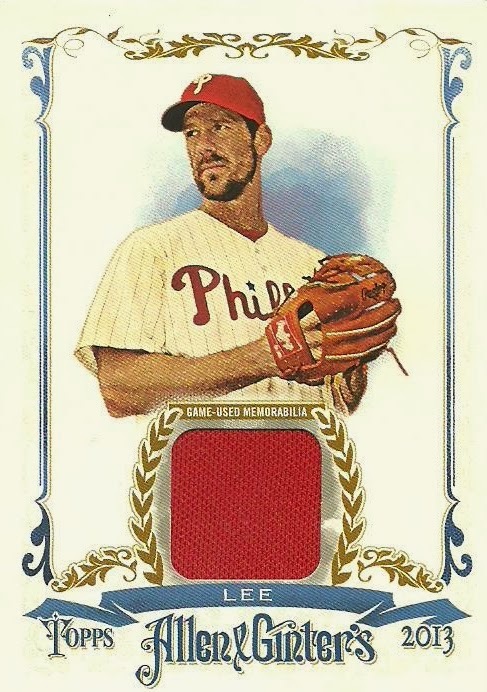 Night Owl Cards already won Jaybarkerfan's Junk's sponsored 2013 Blog of the Year Award, but I wanted to host a few more awards for the blogosphere. I want to thank all those who made nominations and wish everyone good luck! Here is the link to vote for Best New Blog of 2013, Best Post of 2013 and Top Blogger. Click here to vote. I'll leave the voting open until February 5th. This will give everyone a chance to vote and campaign for votes. I hope everyone is as excited about this as I am! 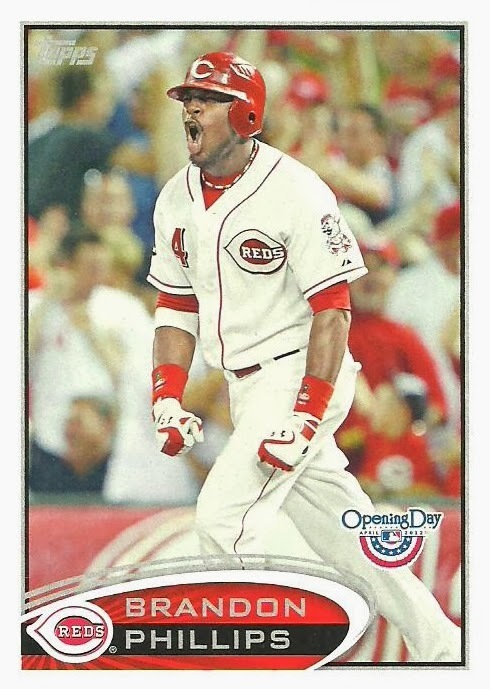 If you could see me right now, you'd see that I look somewhat like Brandon Phillips on the card below. Before I get to my recent prize from Waiting 'til Next Year, I want to plug a couple of things. First, I want your nominations for Best New Blog of 2013, Best Post of 2013, and Top Blogger. Today is the last day for nominations. 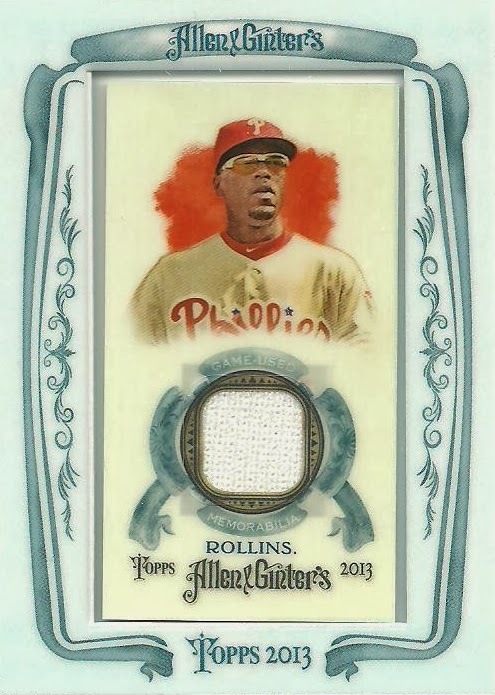 Next, if you want in on the 2013 Allen & Ginter lot (22 Relics and 2 Autos) I've got up for sale, it's now $50 shipped. If nobody wants the lot I'm going to price them out separately. Tom, of the blog Waiting 'til Next Year, recently won some cards from Gavin, of the blog Baseball Card Breakdown and decided that he was going to give someone else an opportunity to win something. I happened to be that someone and so Tom sent me some awesome D-Backs cards! 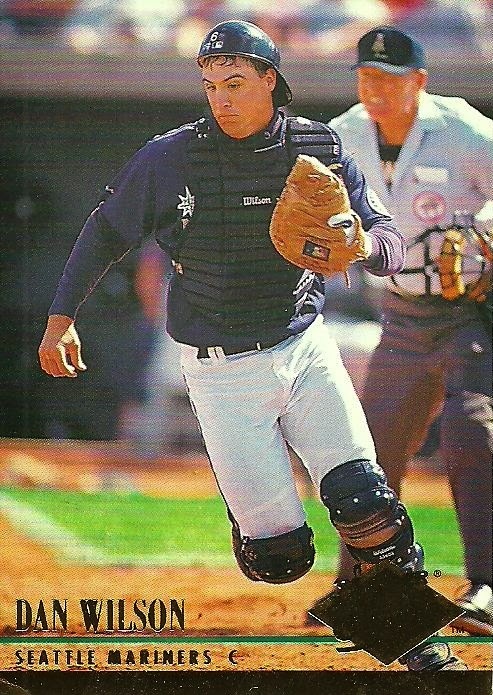 1999 Fleer Sports Illustrated Travis Lee - Great shot of Travis down in Tucson at Spring Training. 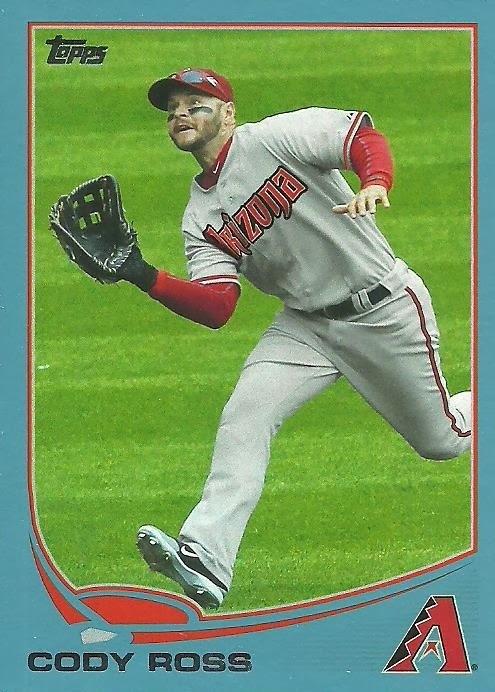 2013 Topps Wal-Mart Blue Cody Ross - Ross got injured and missed the end of last season. It will be interesting to see how much playing time he gets in 2014. 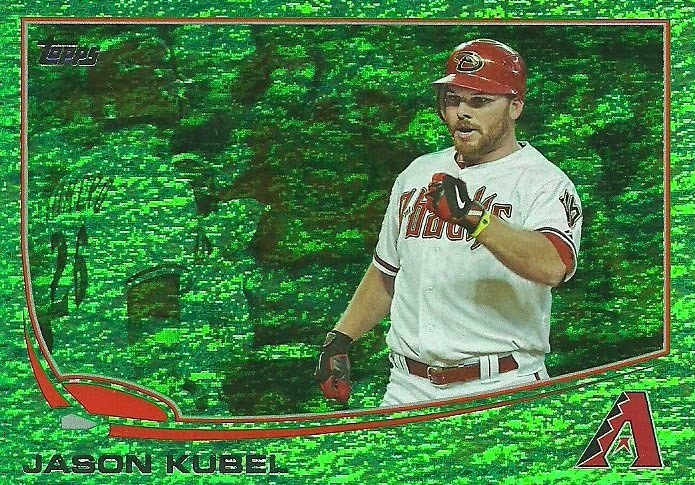 2013 Topps Emerald Jason Kubel - I liked Kubel, but he wasn't productive enough for us to keep and he's back with the Twins. I wish him the best. 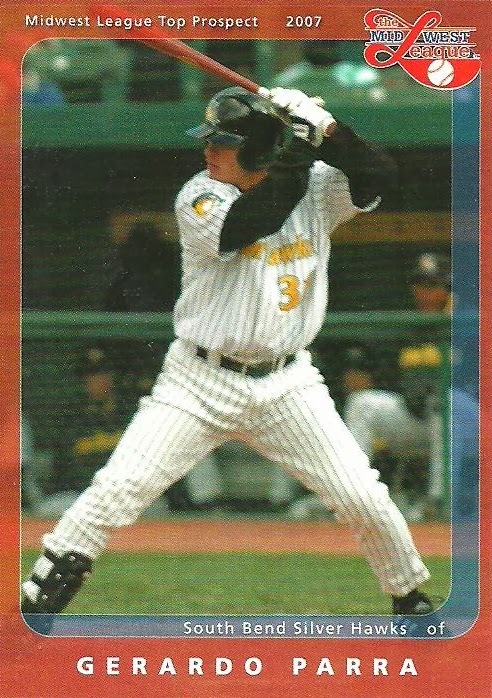 2007 The Midwest League card of Gerardo Parra. - This was my favorite card that Tom sent. 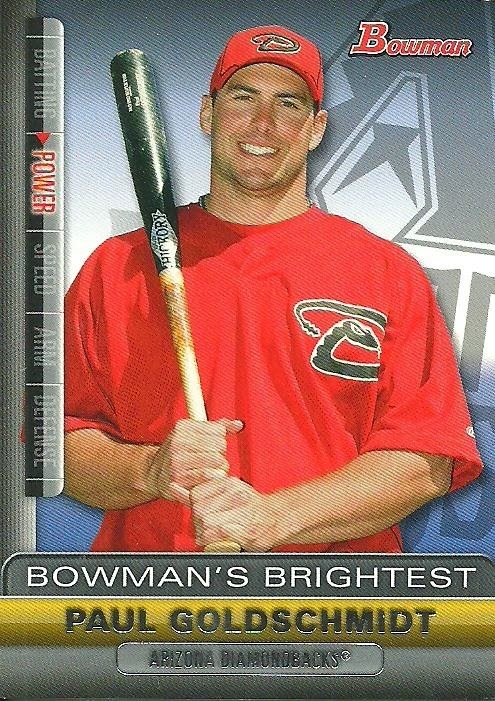 I love minor league cards of players that actually made it to the Majors. I'm also a big Parra fan! 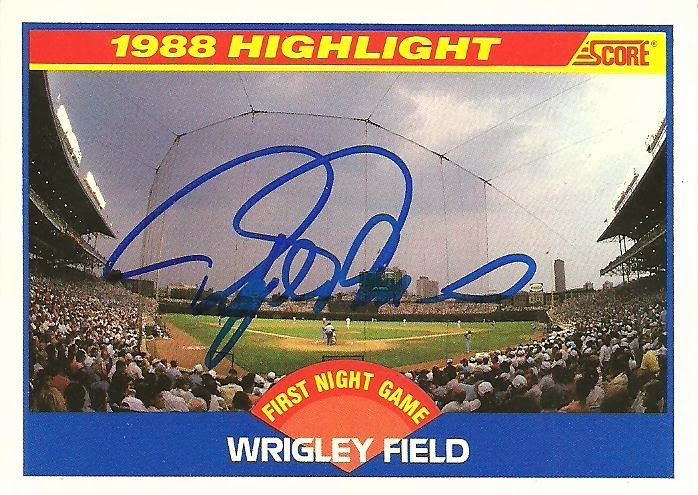 Before I get to my recent ttm I want to plug a couple of things. First, I want your nominations for Best New Blog of 2013, Best Post of 2013, and Top Blogger. 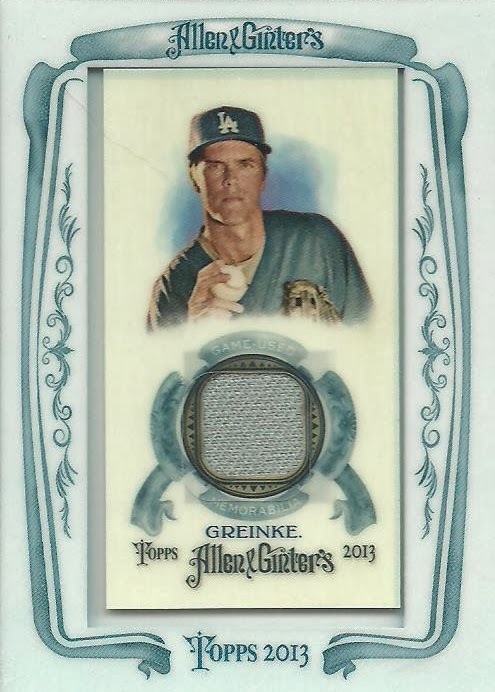 Next, if you want in on the 2013 Allen & Ginter lot (22 Relics and 2 Autos) I've got up for sale, it's now $55 shipped. I sent out a ttm request to Rafael Palmeiro on 8/16/13 and got this back on 1/23/14. It's for my First Night Game at Wrigley Field Project. This put me at 9 out of the 16 autographs that I need. There are lots of Cubs fans out there and multiple Cubs related blogs. When it comes to this project though, Wrigley Wax always comes to mind. I'm not sure how, but I just now followed his blog when I went to get the link. This just goes to show you that you should always check to see if you're following the blogs that you read. Before I get to my recent eBay pickup I want to plug a couple of things. Alright, now onto the eBay pick-up. 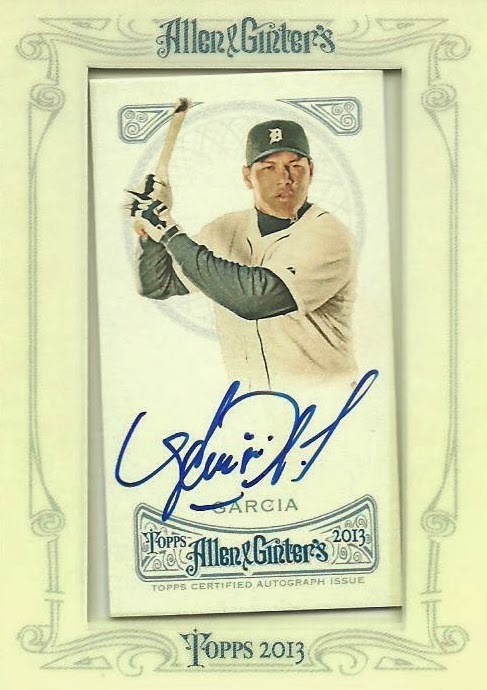 One of my 2014 Card Collecting Goals was to add 5 Hall of Fame autographs to my collection. 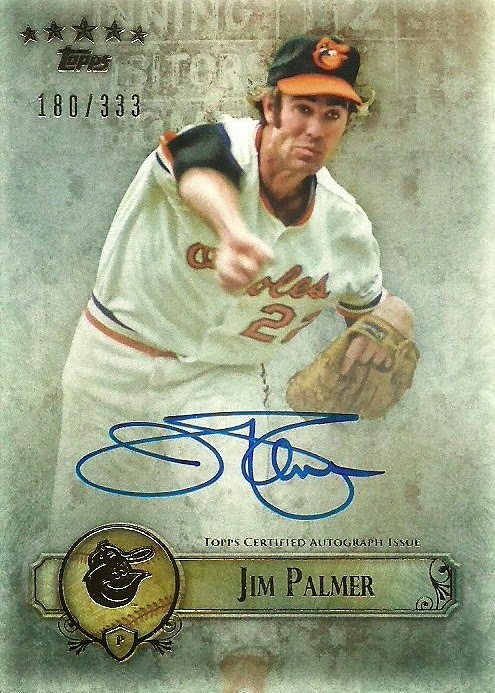 Earlier this month I used my eBay Bucks on this 2013 Five Star Jim Palmer Auto. Cakes spent his entire career with the Baltimore Orioles. There are several bloggers that are Orioles fans. Here are a few you should checkout. Eutaw Street Cardboard, foul bunt, and Orioles Card "O" the Day. Before I get to my recent bobblehead pickups I want to plug a couple of things. 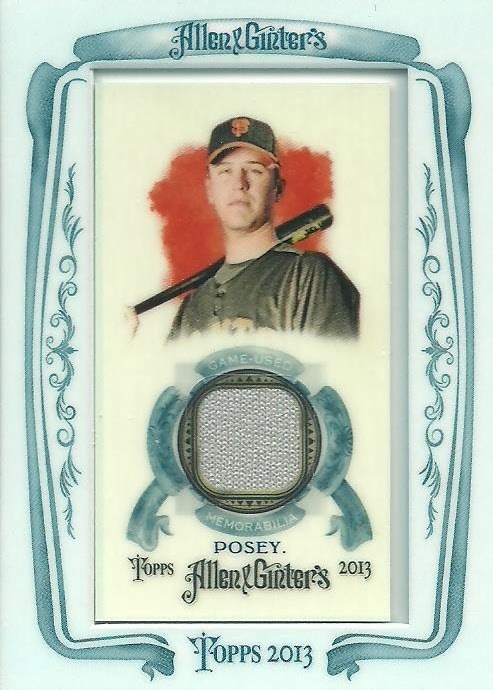 Next, if you want in on the 2013 Allen & Ginter lot I've got up for sale, it's now $60 shipped. Alright, now onto the bobbleheads. One of my 2014 Card Collecting Goals was to add 10 D-Backs Bobbleheads to my collection. I was able to pick up 3 almost right away. I got one from an Antique Mall and the other two from my LCS. I picked up this 2002 Luis Gonzalez HR Derby Bobblehead for $15 from an Antique Mall. I picked up this 2001 Tony Womack Bobblehead and 2003 Junior Spivey Bobblehead from my LCS for $7.95 each. Lots of baseball card collectors also collect bobbleheads, but I only know of a few bloggers that actually have their own bobblehead. Nomo's Sushi Platter and Waiting 'til Next Year. If I missed anyone, let me know. 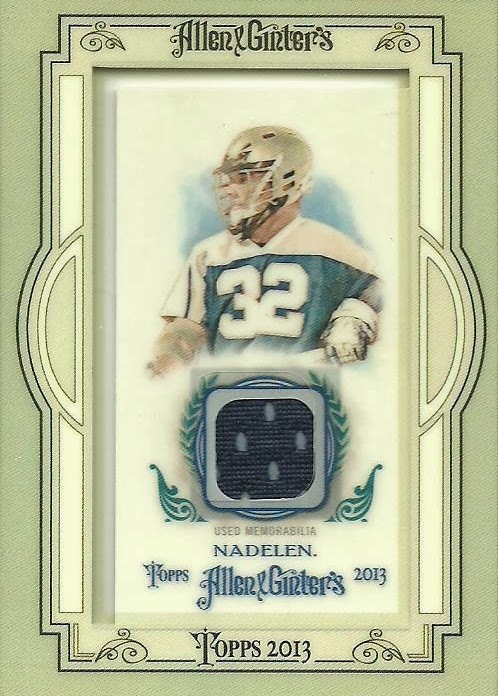 Have you ever placed a bid on something and then thought to yourself, "Oh crap. I hope I don't win this."? And then when you win it and your next thought is, "My wife is going to kill me." Anyways... 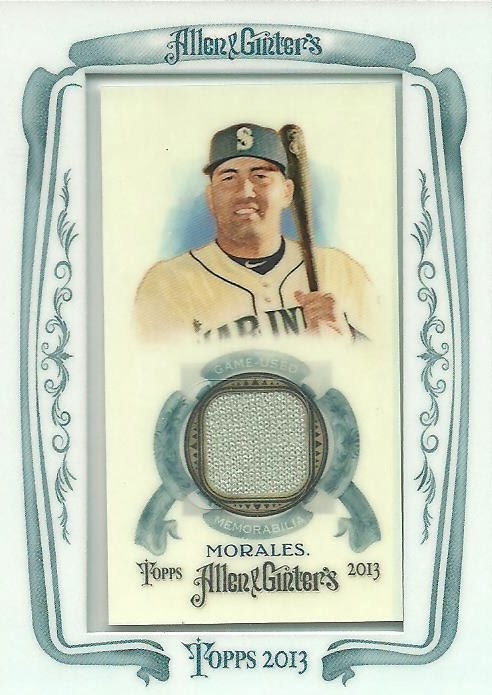 I ended up with a very large lot of 2013 Allen & Ginter cards recently. I thought I would turn to the blogosphere and see if anyone was interested in purchasing a few cards before I try and sell them individually on eBay to try to recoup my money. You can have the lot today(1/28) for $65 shipped. Tomorrow (1/29) the price will drop to $60 shipped. Thursday (1/30) it will be $55 shipped. Friday (1/31) you can get the lot for $50. If the lot doesn't sell by Friday, then on Saturday, I'll price them separately. 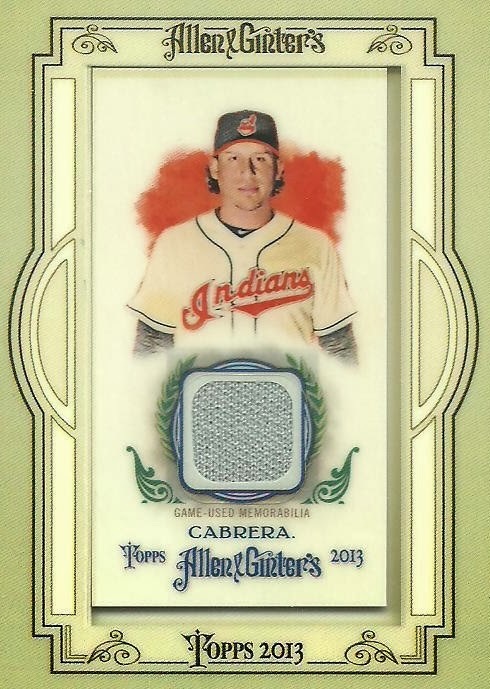 Shipping will be $1.50 no matter how many cards you want and they will be shipped in a bubble mailer. I know there are several other bloggers that sell on eBay and comc.com. Try to remember to support them when you can. Here are a couple - Mr. Baseball - Scott, foul bunt, and Fantastic Catch (comc link is on the right hand side of his page. 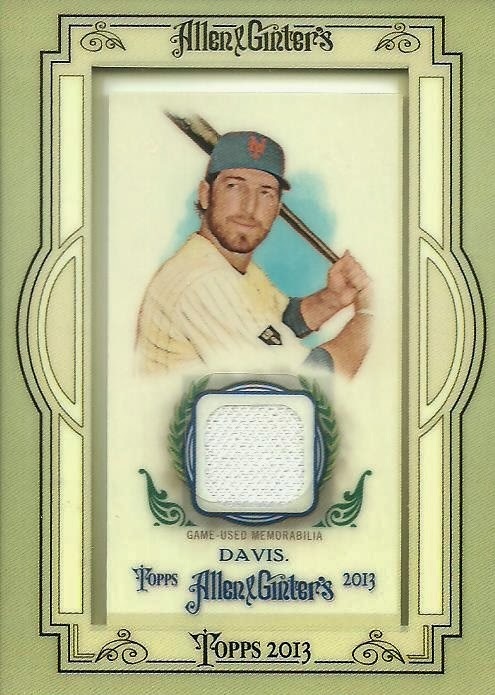 Before I get started with the eBay Pick-Up, I want to ask for your nominations for a few additional 2013 Blog Awards. Comment of this post with your nominations for Best New Blog of 2013, Best Post of 2013, and Top Blogger. 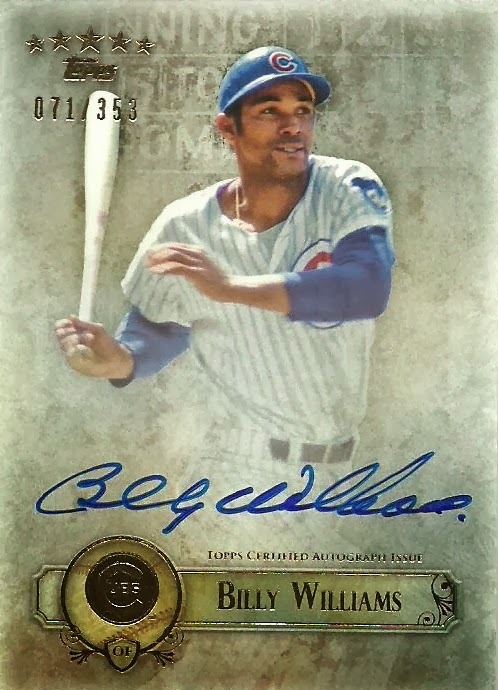 Okay, now that you're back, here's the 2013 Five Star Billy Williams Auto. 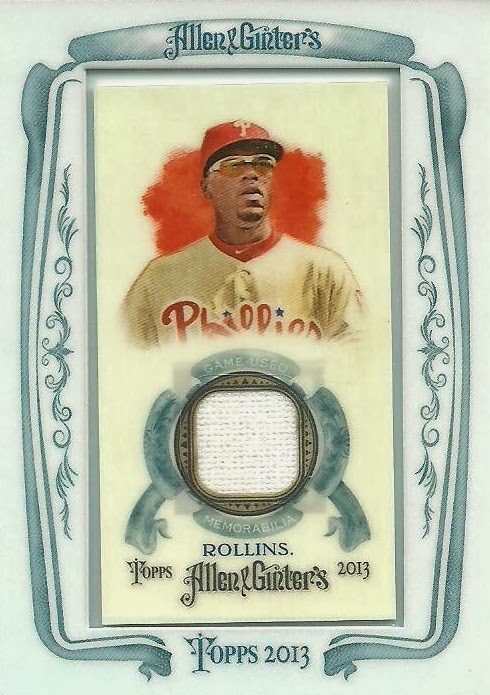 One of my 2014 Card Collecting Goals is to add 5 Hall of Fame autographs to my collection. 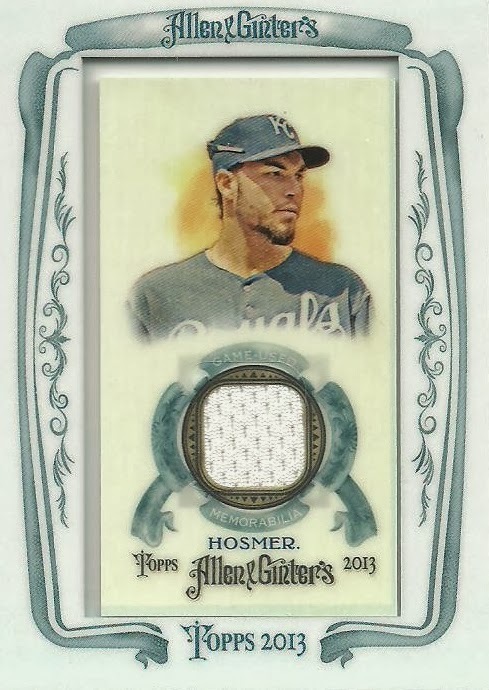 I was able to get this one with a best offer of $10 shipped. 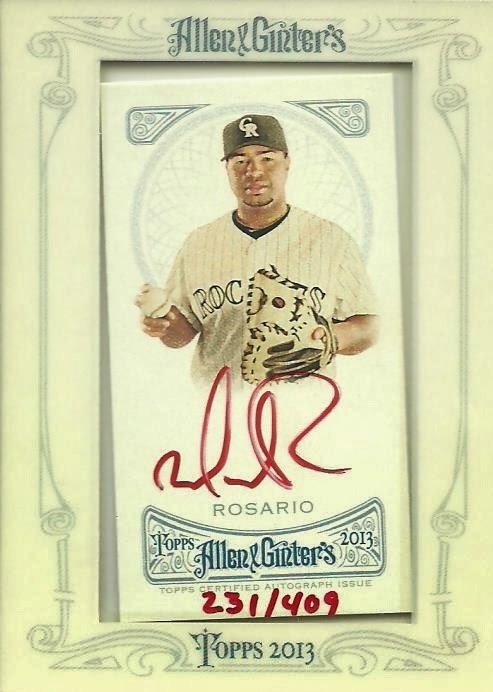 I really like the 2013 Five Star autos and plan on trying to pick up a few more, in fact, I've already picked up another Hall of Famer auto from this set, but I'll save that for another post. Williams played the majority of his career with the Cubs, but spent the last two years with the A's. 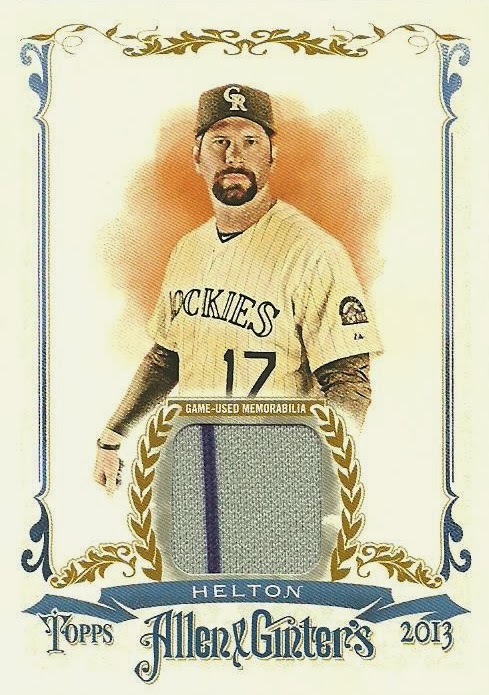 There are lots of great Cubs related blogs out there but I've got some contest winnings to show off from Ton over at Waiting 'til Next Year, so be sure and check him out. As far as the A's go, off the top of my head I can think of only one blogger that collects the A's, The Chronicles of Fuji. I've been reading Fuji's blog for years, but somehow wasn't actually following it until a few weeks ago. So,remember to always check to make sure your following the blogs that you're reading! 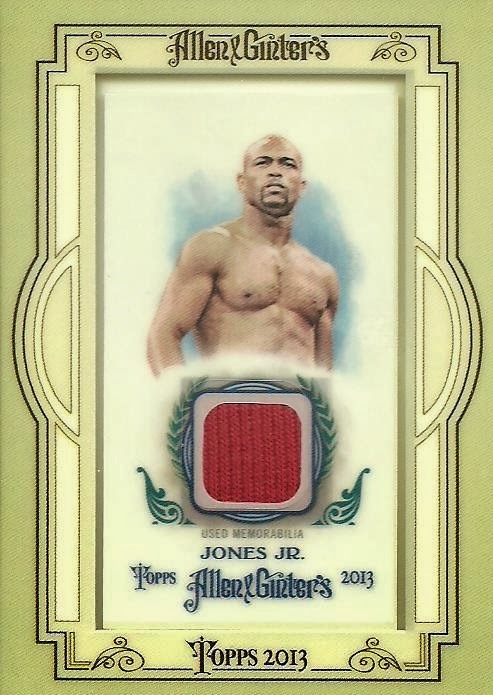 Before I get started with the cards I received from John, of the blog Johnny's Trading Spot, I want to do a ask for your nominations for a few additional 2013 Blog Awards. Comment of this post with your nominations for Best New Blog of 2013, Best Post of 2013, and Top Blogger. Okay, now that you're back, let me show off some of the cards that I got from John. John not only runs the blog Johnny's Trading Spot, but the Trading John Elway blog as well. 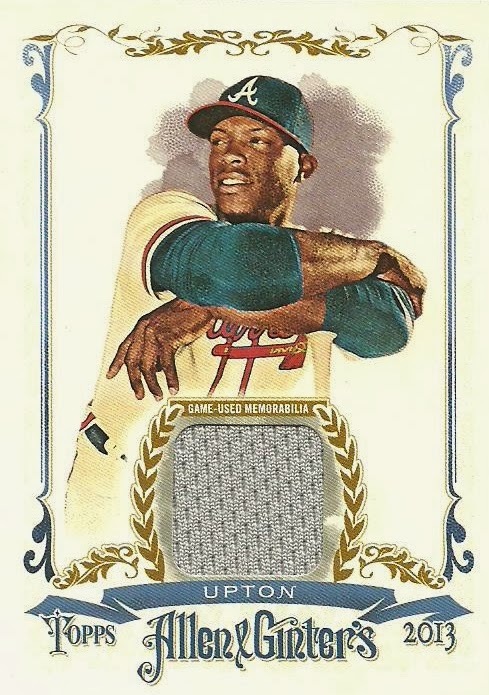 He's a Braves fan and a John Elway Super Collector, so check out his blogs and if you have anything he needs send them his way. John sent me some Dan Wilson cards. 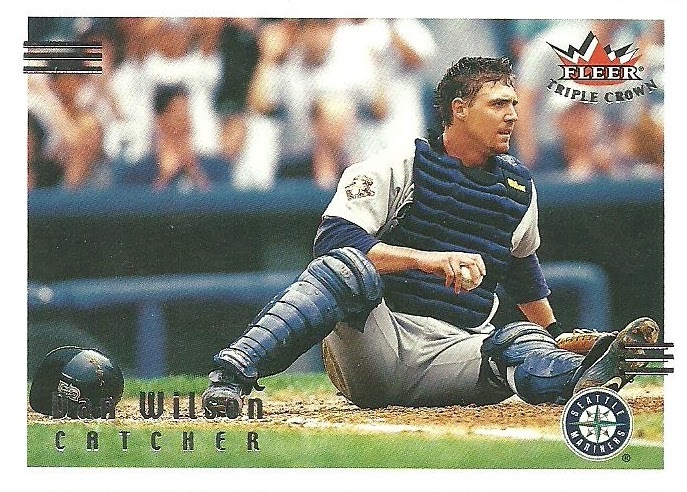 I've always like Dan Wilson, since my name happens to be Dan Wilson. 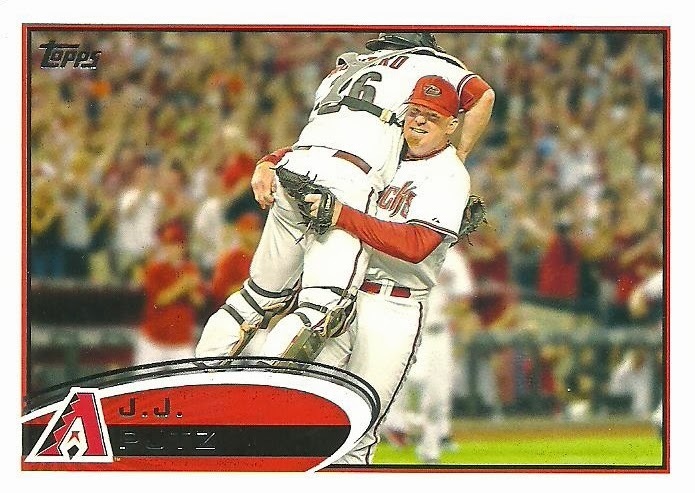 John sent 4 Dan Wilson cards including two RC's of Dan with the Reds, but these two Mariners cards were my favorite! I just love the action shots that were used. I think it shows a glimpse of how hard it is to play catcher. John sent me a nice stack of Topps D-Backs. These are my two favorite. 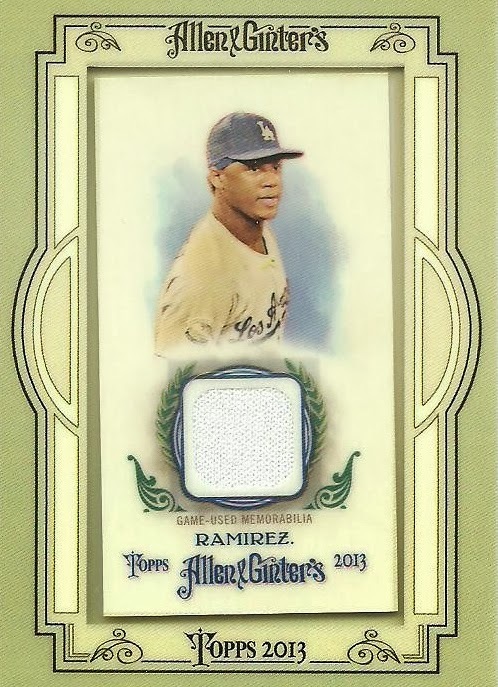 I like celebratory cards and Topps has loaded up their bases sets with them the past couple years. 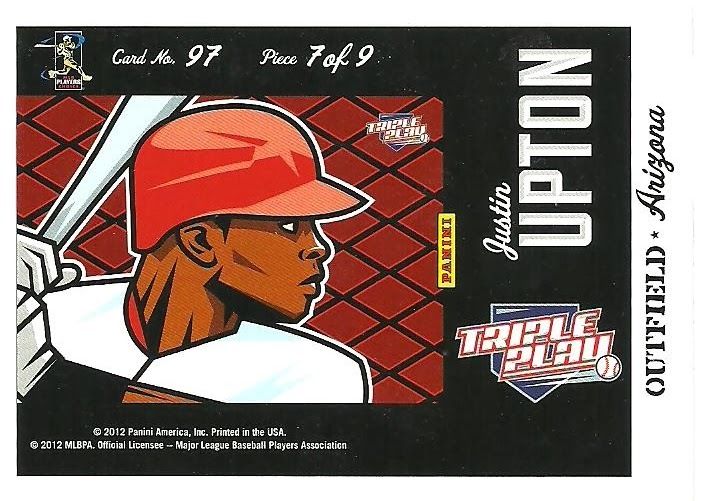 John also included several Justin Upton cards. 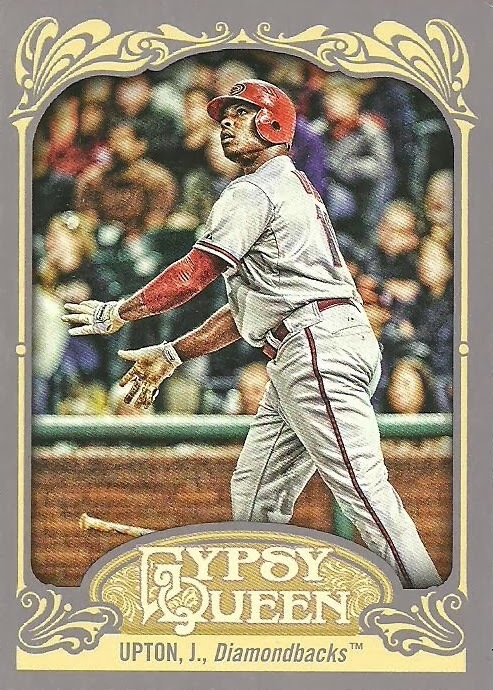 I like the Gypsy Queen card as it features Justin at his best; admiring one of his home runs. 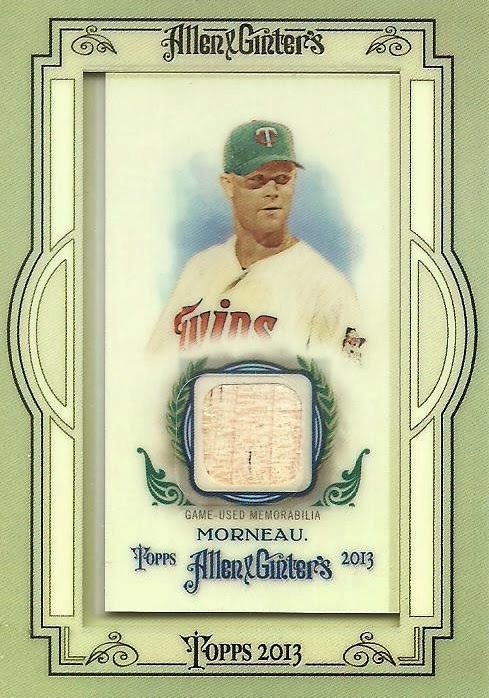 I know I've only got a few of the Triple Threads puzzle pieces, but I would like to put it together. Jaybarkerfan's Junk recently announced the winner of the 2013 Blog of the Year Award. 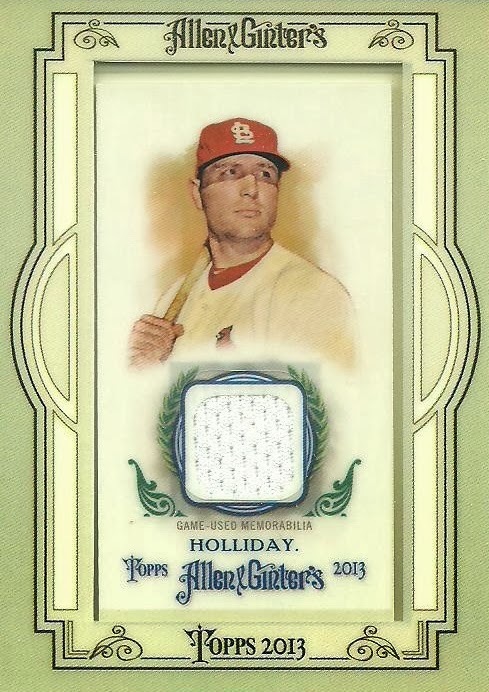 For the 3rd straight year the award went to Night Owl Cards. I'd like to congratulate Greg on his award. He's a great blogger and has a lot going for him...even though he's a Dodgers fan. Don't worry, Greg hates my favorite team with a passion, so I think it's okay if I give him a hard time about his. Now that the 2013 Blog of the Year Award is out of the way, how about a few additional awards. 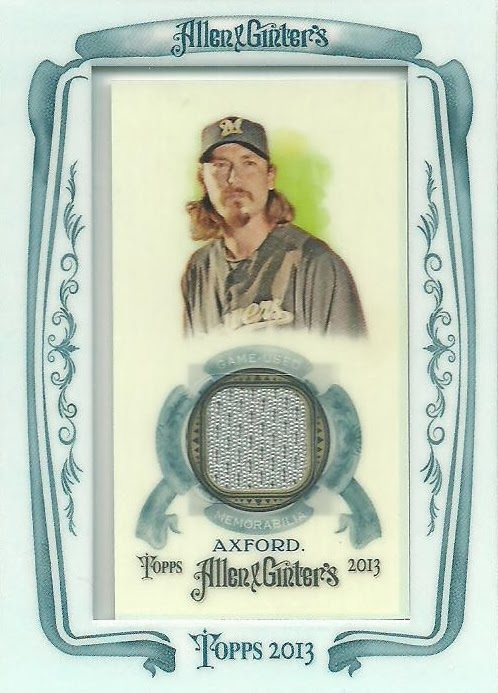 Gavin over at the blog Baseball Card Breakdown (Gavin is currently at 49 Followers. Somebody please go follow his blog. 50 looks so much better than 49.) mentioned the possibility of some additional awards including a "Best New Blog of 2013" or in baseball terms a Rookie of the Year Award. In addition I'd like to do an award for "Best Post of 2013" and an award for the "Top Blogger". Here is the criteria that I'd like to use for these awards. Best New Blog of 2013 - First post must have occurred in 2013. 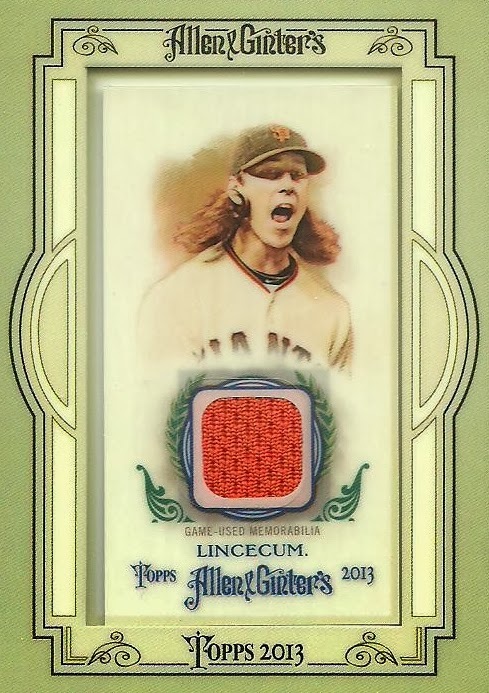 Best Post of 2013 - Your favorite post from any sports card related blog from 2013. There are a ton of great bloggers out there and I want to recognize a few of them with some awards! You can nominate yourself or anyone else you feel is deserving. You can nominate as many blogs, posts, and bloggers as you would like. I'll accept nominations in the comment box below until January 31st. Since the voting will take place in February, this will count as my February Contest, which means there has to be prizes, in addition to the title and bragging rights! 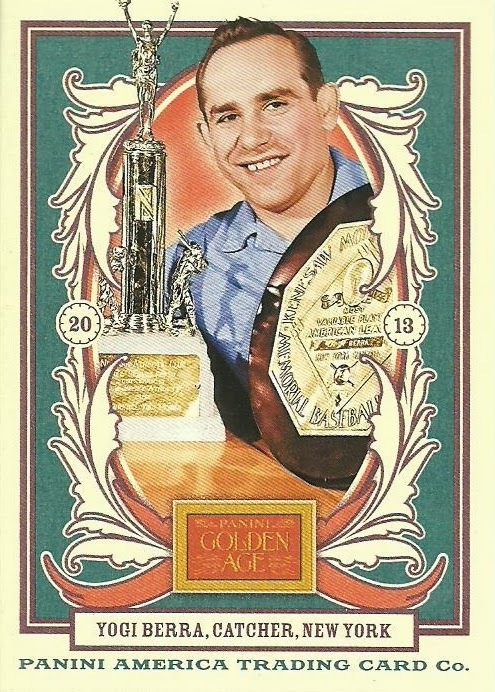 Speaking of awards, here is a card I picked up recently for my Cards Featuring Awards collection. Christmas Present from Catching Rays! Joe, of the blog Catching Rays!, and I work together and are good friends. Joe got me an awesome Christmas present! 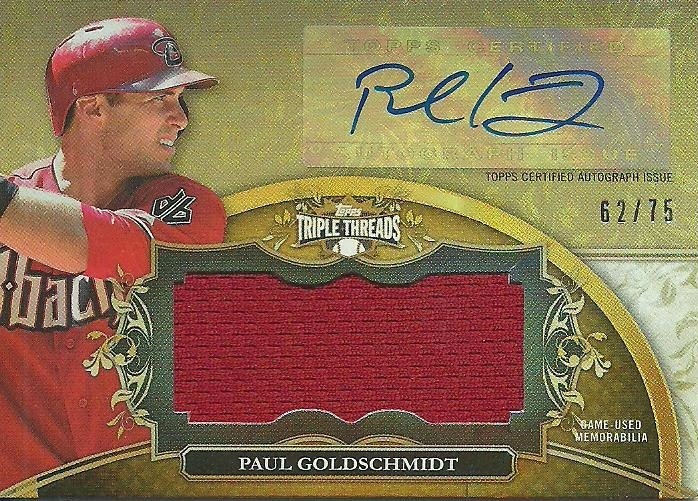 It's a 2013 Topps Triple Threads Paul Goldschmidt jersey autograph card numbered 62/75! 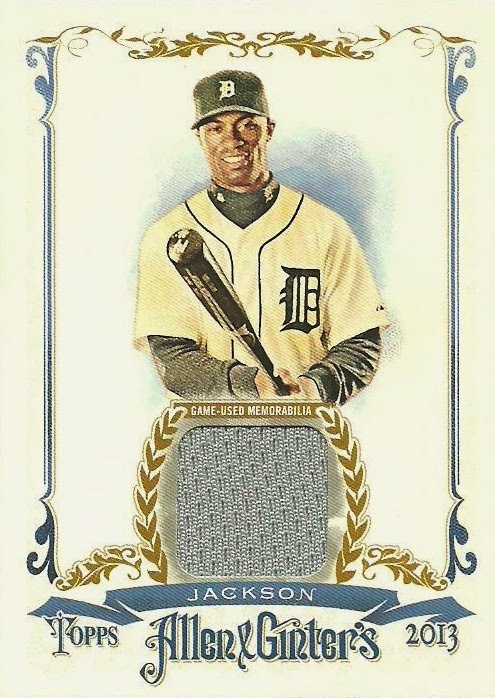 The card is gorgeous and you can't really tell from the scan, but it had quite the journey before it got to me. 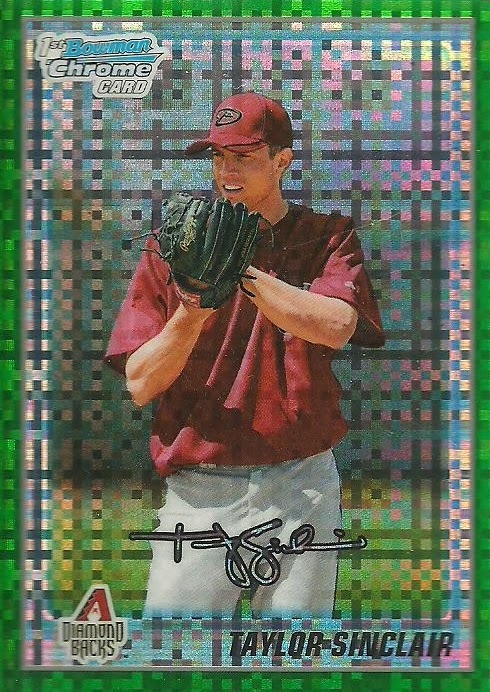 Goldschmidt is my favorite player and this is a great addition to my collection. Thanks Joe! Earlier this month I held a contest to help Corky, of the blog Pack War, reach one of his 2014 Hobby related goals by reaching 100 Followers. Corky has a great blog and it was fun helping him out! If by chance, you still aren't following Pack War, make sure you go do it now. I wasn't looking for anything in return, but Corky sent me some great cards as a "thank you" for helping him out! They weren't needed, but they are very much appreciated. Thanks Corky! 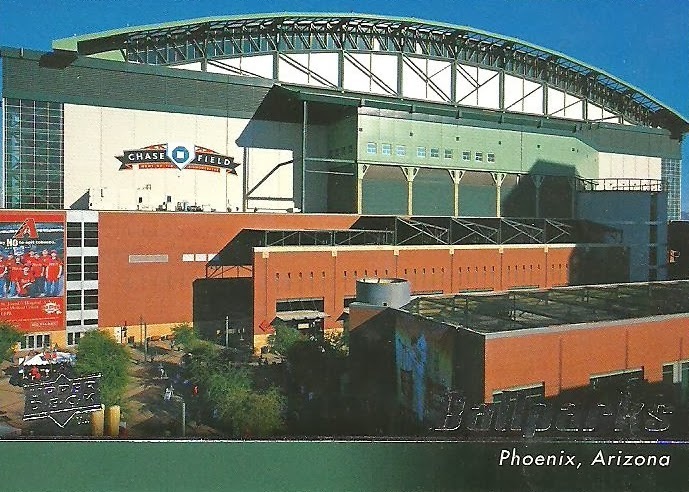 First up is a 2010 Upper Deck Ballparks card of Chase Field. Hope to spend a lot of time here this summer! 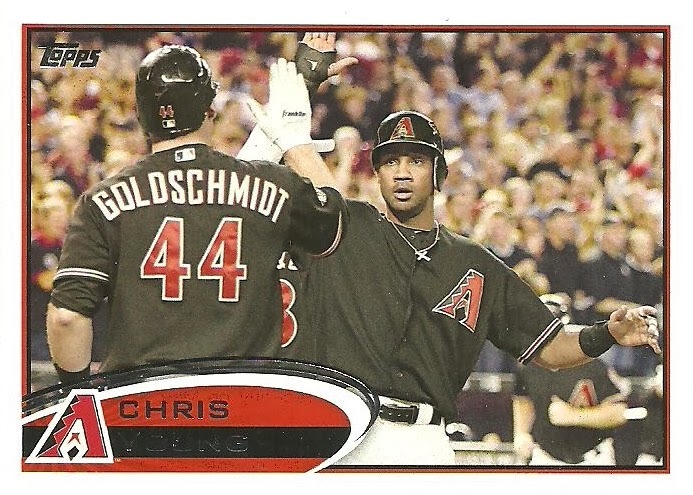 Next up are a couple of Paul Goldschmidt cards including a Topps RC. Goldschmidt just beat out Mike Trout in the first round of the Face of MLB contest that MLB Network is sponsoring. He goes up against the reigning Face of the MLB, Joey Votto, next. It's Twitter based. 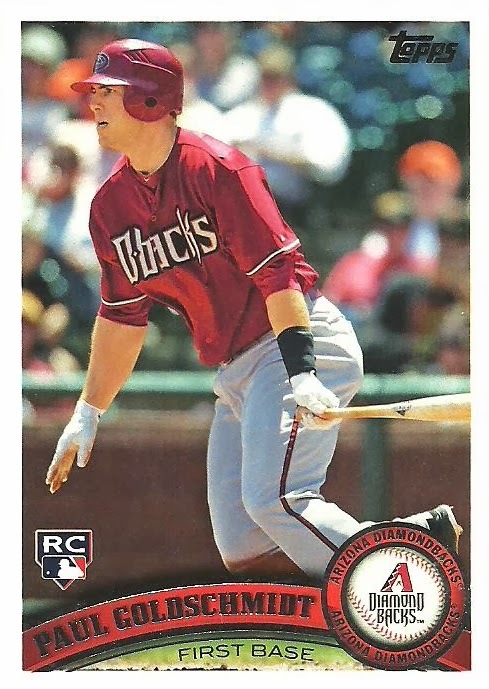 You can follow me on Twitter @daniel24303, but I'd wait until after the Face of MLB contest is over unless you don't mind a lot of #PaulGoldschmidt tweets. 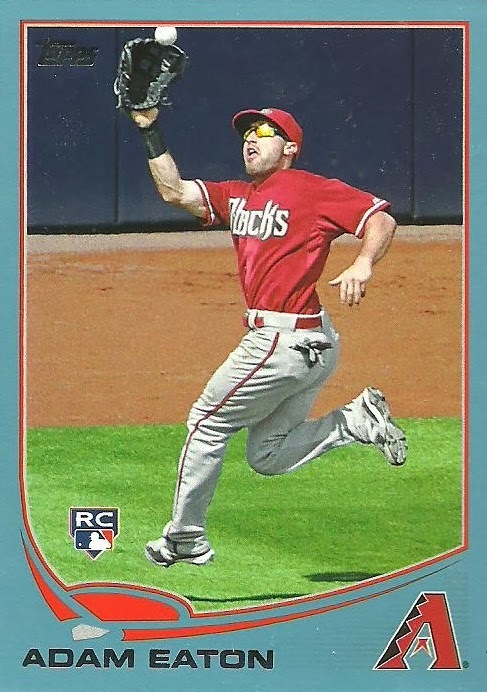 Next up is a 2013 Topps Wal-Mart Blue Parallel of former D-Back Adam Eaton. I'm going to miss Eaton and wish him well in Chicago. 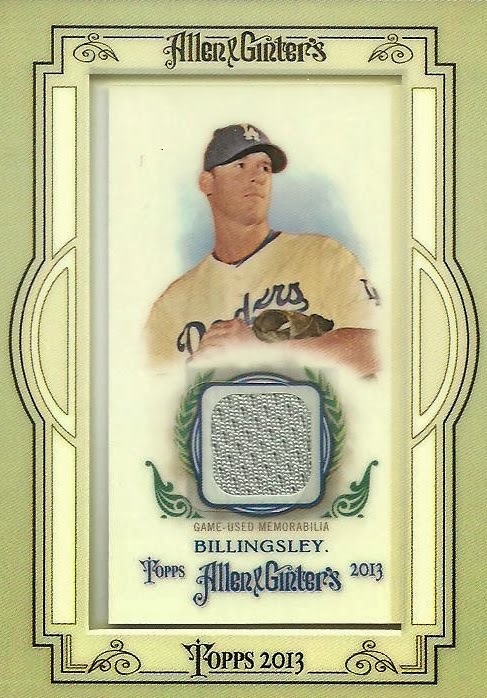 This card looks awesome, although I have to admit I'm not familiar with Taylor Sinclair. 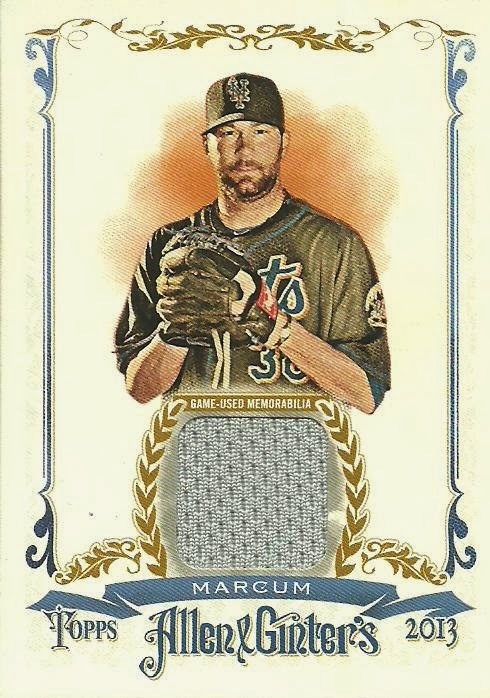 I looked him up and saw that he was in AAA in 2012, but didn't play at all in 2013. 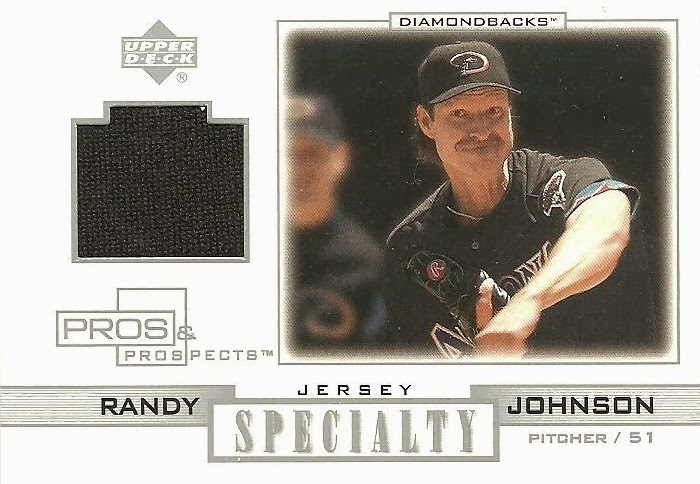 Corky sent me two Randy Johnson jersey cards, which are both fantastic! The first one is a little smaller than a typical card. 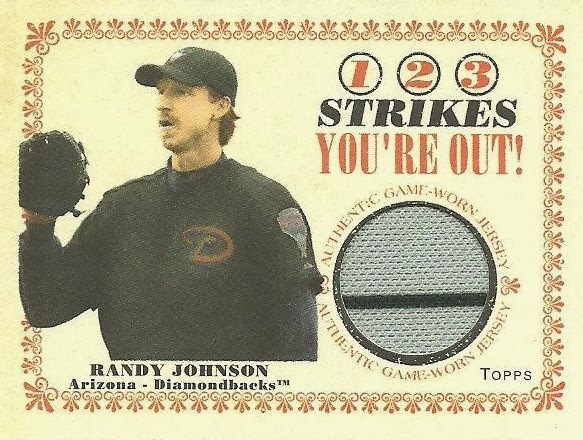 I heard today that Greg Maddux has decided to go into the Hall of Fame without a logo on his hat and there is speculation that Randy Johnson might do the same thing. 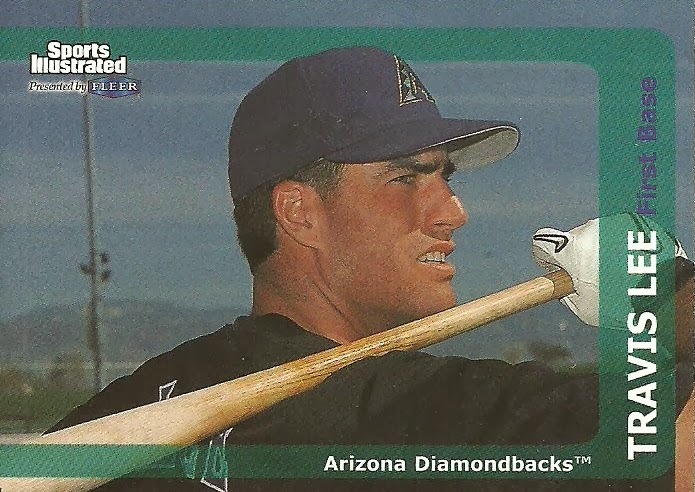 I know I'm a D-Backs fan, but come on Johnson is a Diamondback and should go into the Hall as one. 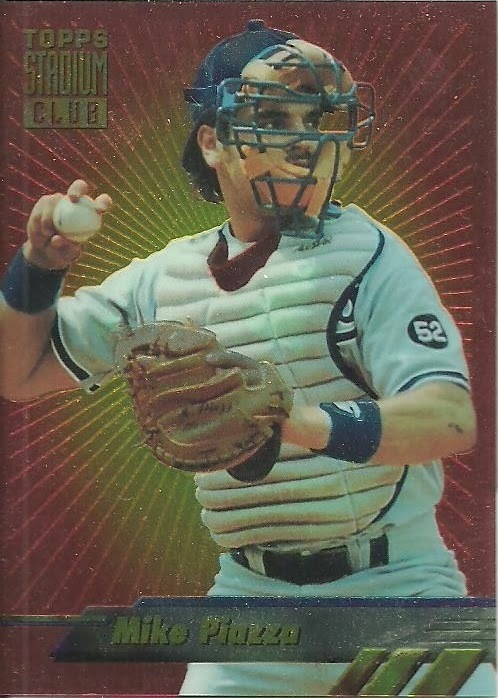 Corky also sent me this awesome Mike Piazza card. 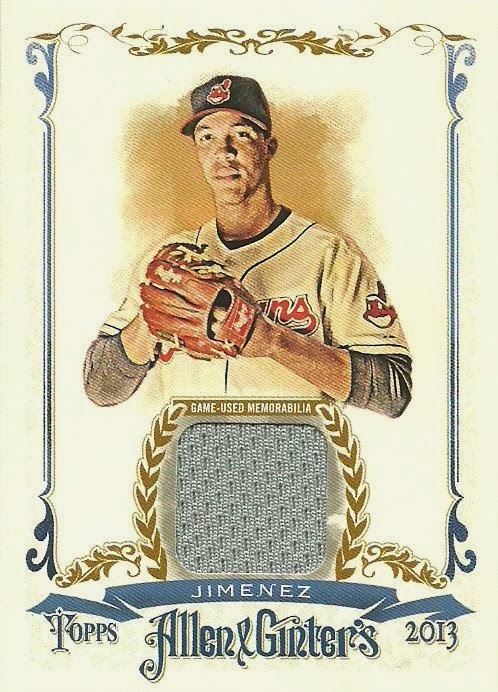 It's awesome by itself, but I just noticed the patch on his sleeve and couldn't help but think of GCRL and his posts on patches worn in remembrance. Here is one of the about Roberto Clemente. I'm sure GCRL could tell us what the 52 stands for. Thanks again Corky for the cards! Good luck on your next 100 Followers! Maybe my best TTM ever! A way to earn extra spots in my contest! Adding a prize to my contest!